Longwa is a small village in the middle of the border between India and Myanmar. Because of the village’s isolation, few people reach it. One must take an overnight bus to reach India’s Mon district first, then catch a ride for over an hour to the village itself. 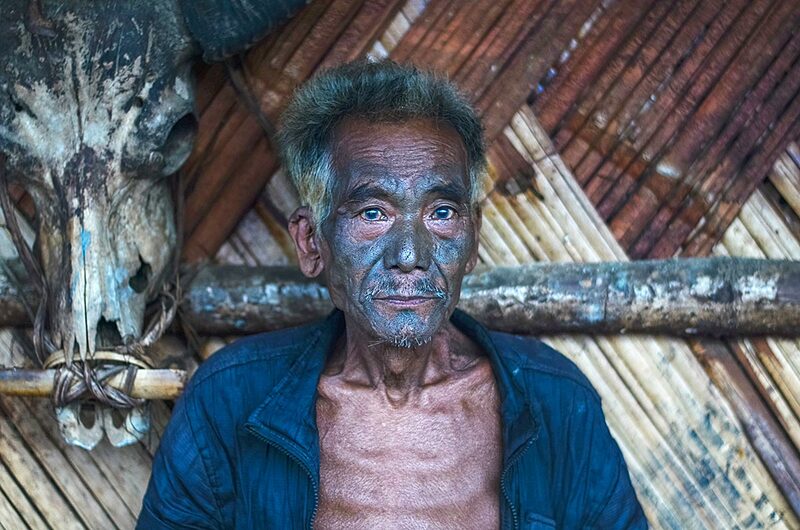 About 60 families of the Konyak tribe live in Longwa village, which remains, even today, disconnected from the rest of the country—there is no electricity and hardly any phone reception. I stayed for two days in Longshaw Waghnow’s homestay. He is a nice person and knowledgeable tour guide. 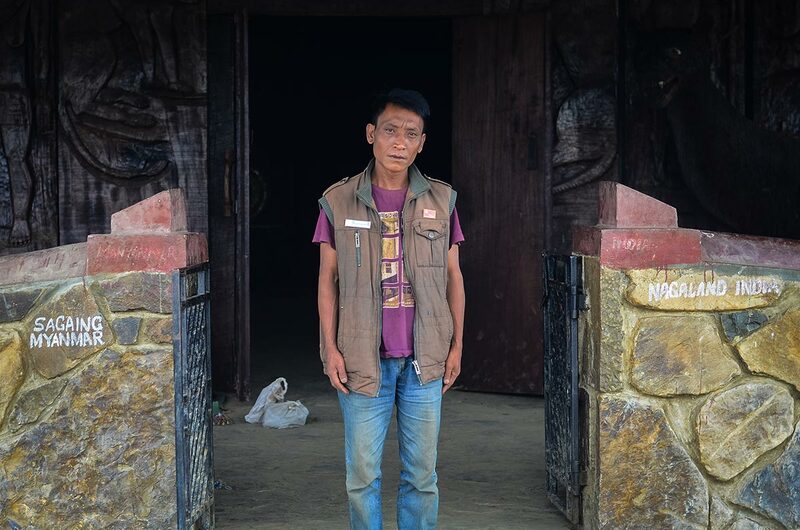 He introduced me to Mr. Tonyei, the village chief (the angh), whose house is cut down the middle by the Indian-Burmese border—the western half is in India, the eastern in Myanmar. 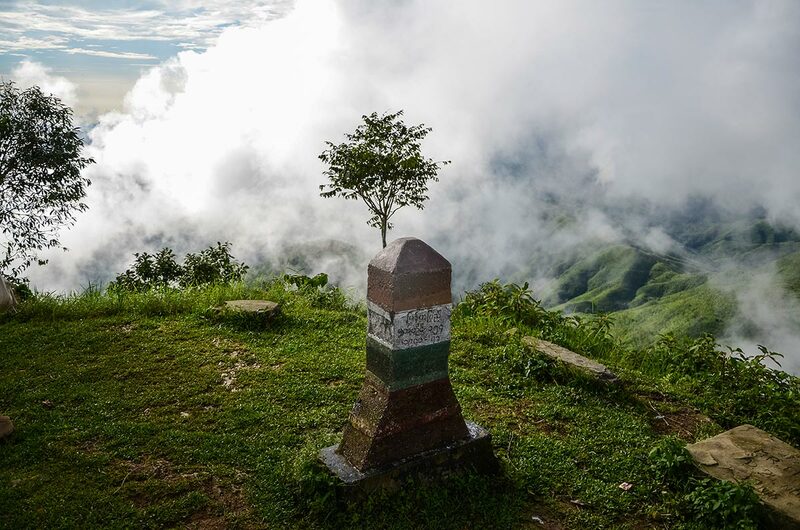 Villagers can freely walk to Myanmar without any restrictions, which are convenient for locals, but also invites smugglers of drugs and arms regularly, with a specific narrow hilly bike route being the drug-supply route from Myanmar to India. The local economy is barren and secluded, inciting desperate locals to engage in the drug trade and, unfortunately, cultivate opium regularly. The locals take opium often, after evening gatherings in their homes. 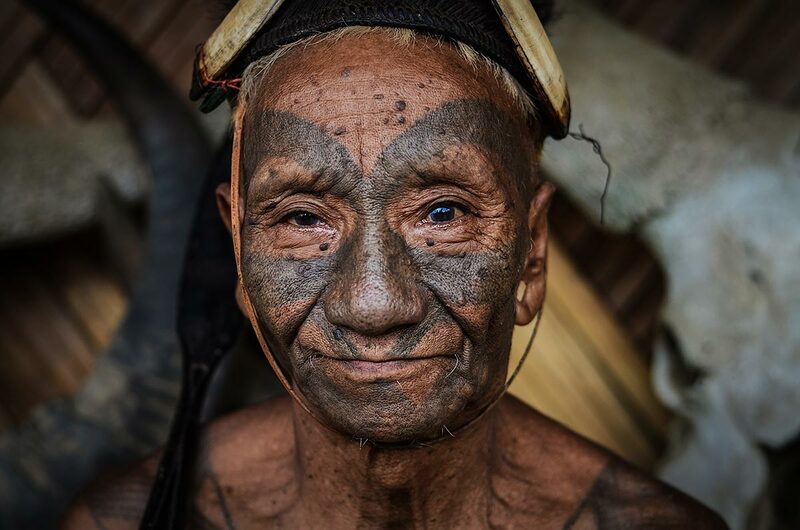 But the most distinctive quality of this tribe is their tattoos. 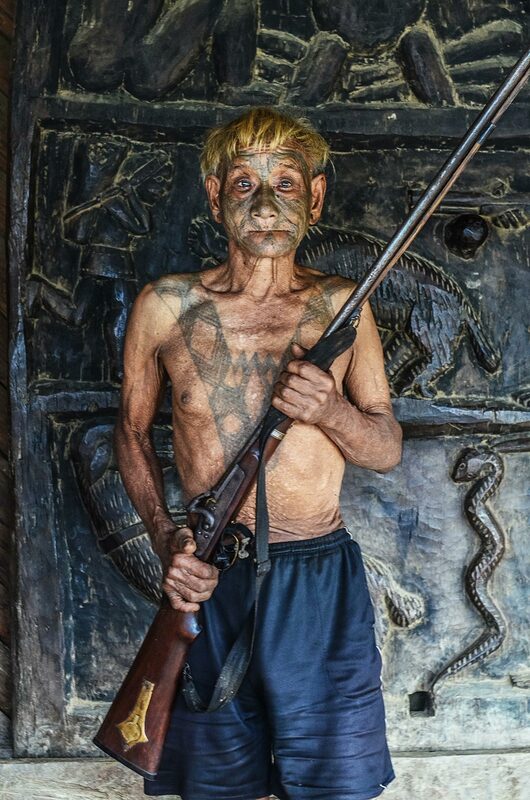 Former warriors are signified by facial and chest tattoos, and clothes made from animal skin, hair and horns, which ceremoniously cover their bodies. Male warriors are marked by chest tattoos, while face tattoos denote head-hunters. The custom of killing an enemy, decapitating them and returning with the head was indicative of courage and pride in the past. The belief among their forefathers was that human skulls contained some magical power; a heroic reception once was accorded to a warrior who entered the village with the captured head of the enemy. The village folk used to offer ceremonial reception to the hero. The skull was tied to a log drum, as the tribe would dance and celebrate into the night. Today, the violent customs have subsided, but the Konyak’s tattoos remain. While the body modification and tattooing are painful to endure, the men and women wear them with pride, as they are status symbols and a defining characteristic of their culture. Manyam, 81 years old, with traditional dress. Wanchah, the village’s only head-hunter without a chest tattoo. The border marker between India and Myanmar. 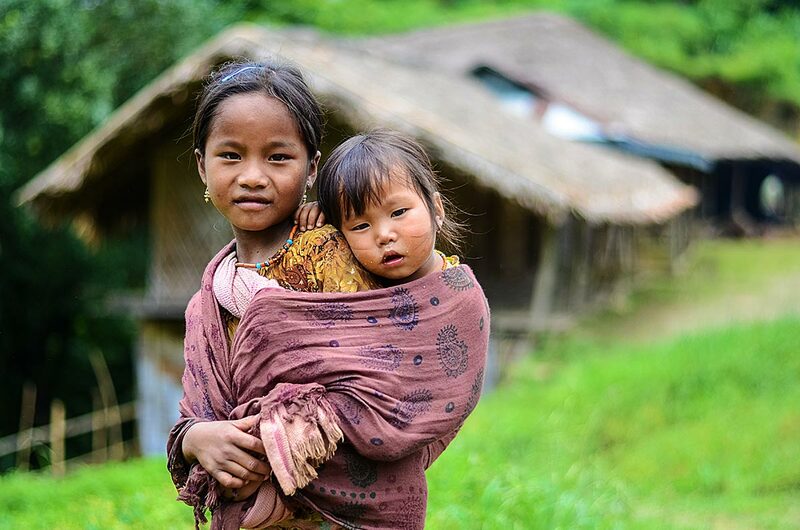 The children of the Konyak tribe. The Longwa village chief, Aung, Tonyei. 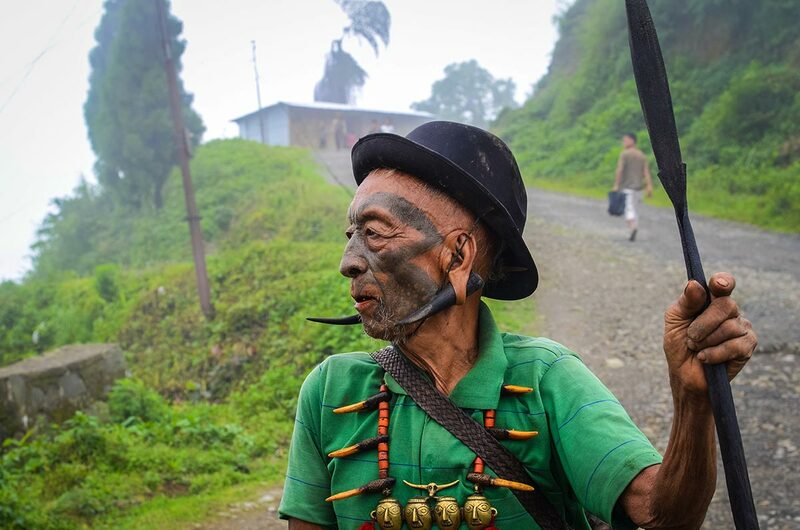 Inangnan, 82, poses with his gun. His chest tattoo is a status symbol. Animesh is an enthusiastic documentary photographer and traveller from India. He is currently documenting some of the country's rare tribal groups, including the Santhal, Apatani, Konyak and Bonda tribes. His photos have been published by local newspapers and showcased by the government of West Bengal, as well as national and international photo salons.